Is this Queenstown’s dreamiest stay? Matakauri Lodge on the banks of Lake Wakatipu outside of Queenstown, NZ. The cosy lounge room of Matakauri Lodge to watch the sun set behind mountain peaks. Pool with a view at Matakauri Lodge, NZ. Matakauri Lodge just outside of Queenstown, NZ. 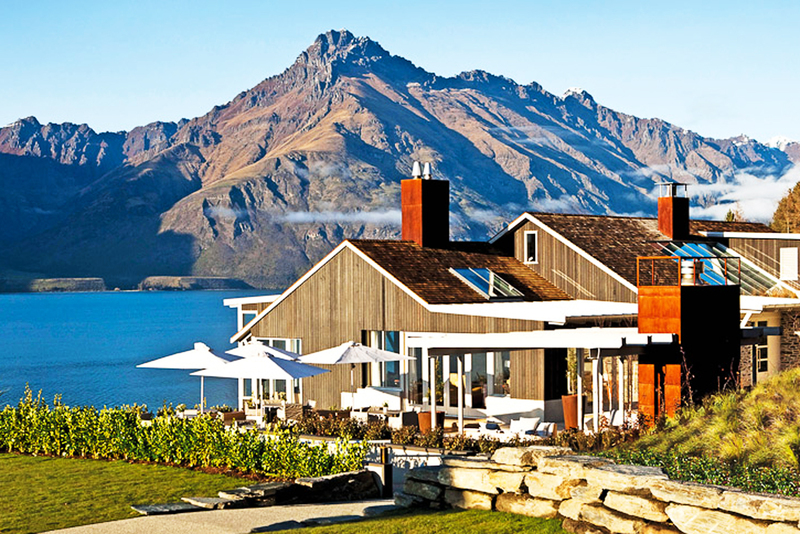 Situated at the edge of Lake Wakatipu, only minutes from Queenstown on New Zealand’s South Island, Matakauri Lodge is surrounded by the imposing snow-capped Remarkables, Cecil and Walter Peak mountain ranges. Unsurprisingly, the views are incredible (even the gym looks out onto the seemingly unending natural wonders). But all that drama and beauty outside is more than matched by the stunning inclusions within: Matakauri boasts sophisticated and cosy suites, a luxury spa, and top-notch dining created by head chef Jonathan Rogers using seasonal local produce. Float in the heated outdoor infinity pool, browse the library or simply take up residence in front of an open fireplace with a glass of red in hand. And if you can manage to tear yourself away from the allure of what’s inside to appreciate what is outside, there are myriad activities that will allow you to indulge in the views, from horse-back riding and hiking trails to helicopter tours. All-inclusive rates start from $520 per person per night based on double occupancy.